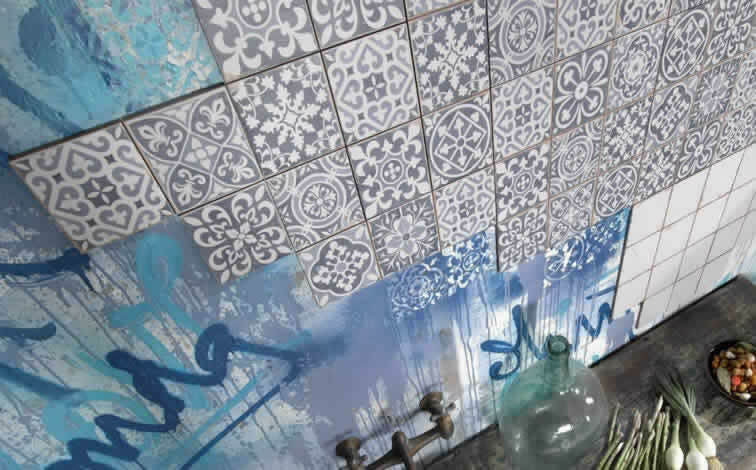 At Kalafrana Ceramics Sydney Tile Showroom you will see on display the latest Unique and Sophisticated Antique & Decorative Retro Styled imitation wall tiles, pattern floor tiles & subway tiles. 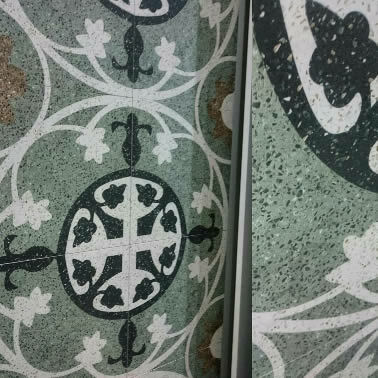 Even though they are new lines the Vintage Antique & Artisan handmade range from Spain exhibit the imperfections and wear of aged floor & wall pattern tiles. Visit our Sydney showroom to see this reproduction range - a great alternative for those who love the look and feel of Vintage Patterned Decorative Old Cement Encaustic, Ceramic, Terrazzo Tile, Hampton style Antique, Artisan tile, Rustic Moroccan, Federation, Retro Styled, Tessellated and Handmade Subway Tiles but require a more cost effective and maintenance free tiling option.. 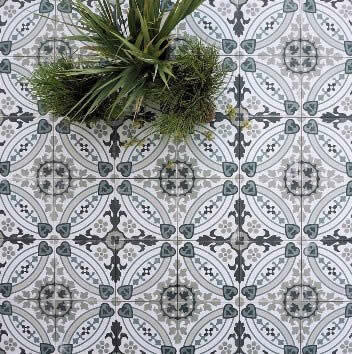 These new patterned floor lines from Spain can be also used on decorative feature walls, as well as outdoor applications. These 45x45cm tiles are scored into four equal 22.5cm quadrants, and the 33x33cm tiles are scored in 9 segments. This makes the Artisan tiles much quicker to lay, with the manufacturing cost benefits of a large format tile. Each tile has the same pattern but vary in wear marks and tone to emphasize that individual look. These wall and floor pattern tiles also require no sealing as they are all fired glazed products. All our pattern tiles and subway tile range are on display at our Leichhardt showroom in Sydney's Inner West..